Micky Yoochun vs Kim Soo Hyun – Whose Body is Better? The body of the actors always become a rather controversial topic. Recently Kaya Scodelario who come to South Korea to shoot CF together with Kim Soo Hyun, published on her Twitter account a photo of Kim Soo Hyun. In the photos, Kim Soo Hyun took off his jacking, and wore sleeveless shirt. His body looks more solid than his appearance, and the right-angle shaped arms is attracting attention. His such a look gained even more love from fans. 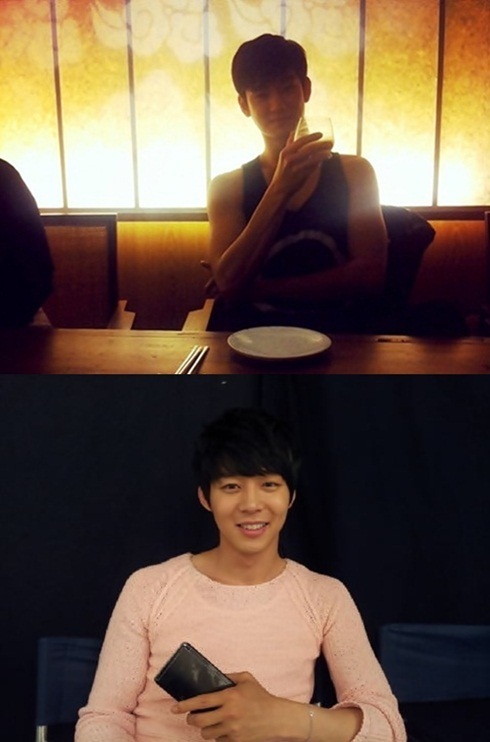 And Park Yoochun who is known as “ancestor of right-angle shoulders” also received attention recently. On April 30th, 2012, Park Yoochun who is starring in SBS Wednesday and Thursday drama “Rooftop Prince” uploaded a photo on his Twitter account. He who was wearing pink long-sleeved shirt looked at the camera with a smile. Kim Soo Hyun and Park Yoochun not only have the advantage of right-angle shoulders, but they also showed their talents in the Wednesday and Thursday drama series, they both played the role of prince. And the two persons also have very charming smile, and the popularity is increasing continuously.